It may only be three miles long but for the seven families that live along the L783210 in Greenland’s, west of Mogeely, life is a struggle. Potholes are becoming an increasing concern for motorists in the area, with one couple having to pay out thousands of Euro’s on car repairs. The complaint comes just as the East Cork Municipality have demanded a government review on the maintenance spend for East Cork’s roads. Parts of the road are littered with crater like potholes and overgrown vegetation. Heavy farm and quarry traffic use the road daily, which is adding to the deterioration. Cars are damaged on a daily basis, because of the state of the road. 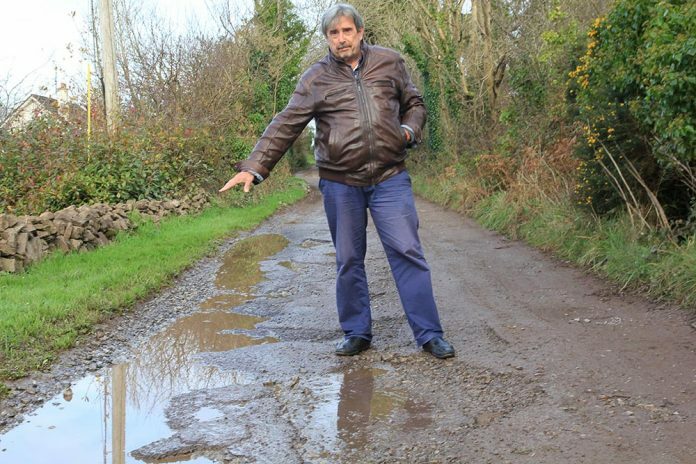 Franz Limmer and his wife have spent over €2,000 in garage fees to fix pothole related damage to their cars in the past twelve months. While Mr Limmer and his fellow residents are willing to contribute to improve the road, they say the local authority must impose a road usage charge, to ensure the heavier user pays more. “I wouldn’t mind paying if I was reassured I wouldn’t have to pay on a constant basis. 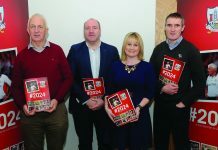 Every half year the suspensions go, the ball bearings go everything, and it’s quite a drain on the pocket” a frustrated Mr Limmer tells the East Cork Journal. The local authority have advised the residents the cost of relaying 1 mile of the road is about €75,000. 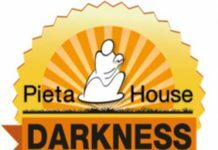 Under a government backed community involvement scheme these residents, who daily have to drive along the bumpy dirt road, mud and minefield of potholes, would individually pay almost €1,500. The Council have given a guarantee that the 1 mile stretch would be maintained for up to one year, allowing for a bedding in period. However Mr Limmer and his fellow residents fear they will be back to the same situation in four to five years if a fair community funding model is not identified. Cork County Council were asked for comment, but no statement was forthcoming prior to going to print.